Has anybody seen this series. I never knew it existed until I came across this on YouTube. I always did like Archie, I always thought it was the only cartoon, along with Josey & The Pussycats, that was most like an anime! This series added strange monsters and phenomenon to the usual Archie hijinks, although I prefer classic Archie cartoons. Also, while I'm on Archie, has anybody seen Riverdale as well. I prefer the cartoons over this teen soap stuff though. Did you mean"Archie's Weird Mysteries"? I have all 40 episodes on DVD. WAY better than Riverdale. Also Sabrina the teenage witch and The Groovy Ghoulies are spin offs of Archie. Last edited by Clayton_n; 05-23-2017 at 05:35 PM. You're talking about that live action show based on Archie, but it was supposed to be closer to Twin Peaks? I didn't watch it. I don't think it survived the year. I haven't heard anything about it in months. Archie realizes his marriage to Veronica was a mistake. He confesses such to Betty, and the two begin an affair. Suspicious, Veronica asks Reggie, now a private detective, to follow Archie. Reggie still resents Veronica choosing Archie over him, so he plots his revenge. Reggie discovers that Archie and Betty are having their affair. He reports this to Veronica, and helps her get a gun after planting the idea of vengeance in her head. 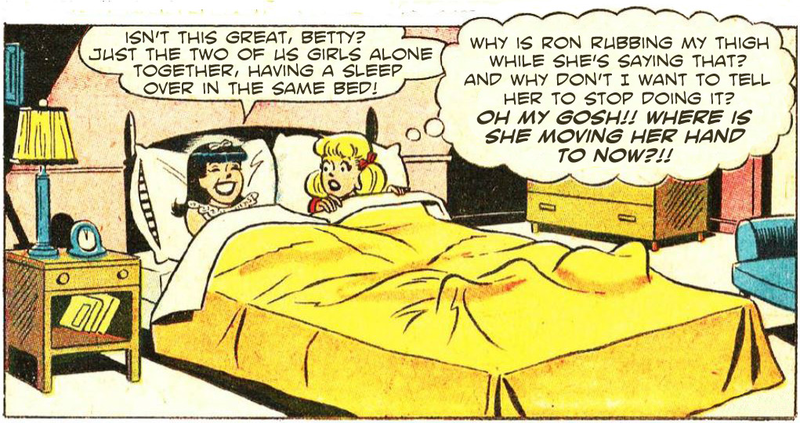 Veronica breaks into Betty's apartment when Archie is there, finding them both in bed. Pulling out her gun, she fires five times hitting them both. She then uses the last bullet on herself. Now THAT'S a comic book worth reading! But they still killed off Archie without my input, didn't they? 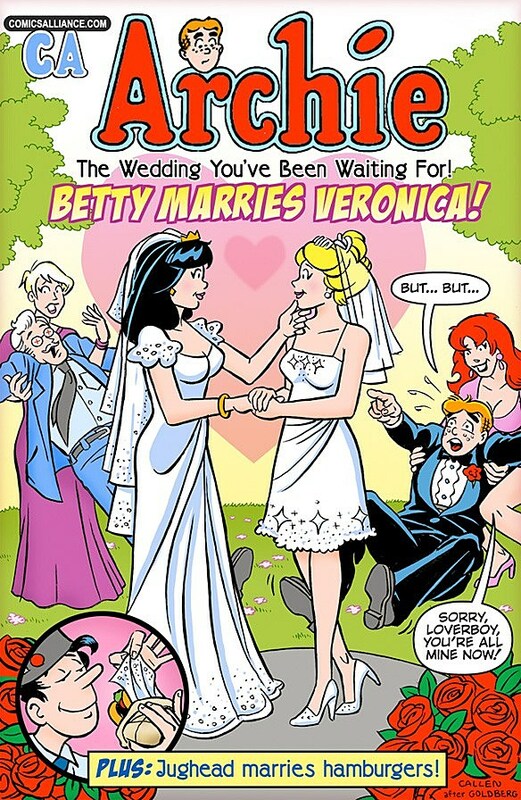 I'm still waiting for Betty and Veronica to get married. ^ I have to admit it is better than my idea. What about Jughead? I always wondered about him.